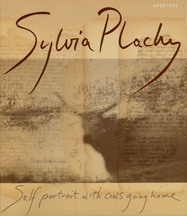 Photographs and text by Sylvia Plachy. Aperture, New York, 2004. 208 pp., 22 color and 98 duotone illustrations, 9½x11¼". In 1956, Plachy (then 13) and her family fled Hungary and eventually immigrated to the United States. 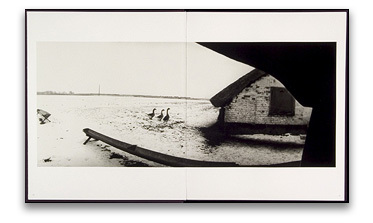 Over the past 40 years, she has returned to Eastern Europe with her camera. Self-Portrait presents Plachy's deeply personal journey back to the emotional landscape of her girlhood home with many of the images from her native Eastern Europe, others from family albums. The accompanying text, also by Plachy, is expressive and illuminating. More poetic than narrative, the fragmentary moments she captures seemingly transport the viewer to an earlier era. Through the book, we experience Plachy coming to terms with her past. Yet the images here, whether hopeful or devastating, possess a rare timelessness. She photographs not from the open wound of exile but from a healed one, scarred over with time, investing each of the photographs with such personal vision that they are at once from the Nazi Era Europe of her early childhood and the present. The attentive order of the photographs, the balance of black-and-white with muted color, and the transitions between movie sets, Dachau, the streets of Europe, and her family are seamlessly wrought in a visual vocabulary reminiscent of memory. Read Publisher's Description.